Mia Wasikowska is having one hell of a year, first starring in the box office smash Alice in Wonderland and then the awesome indie darling The Kids Are All Right. Michael Fassbender, on the other hand, hasn't had so much luck. In the year following his acclaimed performance in Quentin Tarantino's Inglourious Basterds he made both Centurion and Jonah Hex, two films that didn't exactly receive the highest marks from critics. Now that they're working together, it will be interesting to see whose mojo wins out. The first poster and the first trailer for Jane Eyre have been released online on Facebook and Yahoo! respectively. An adaptation of the classic Charlotte Bronte novel, Wasikowska plays the title character, a girl who is forced to run away from home, but becomes a governess at a place called Thornfield Hall. 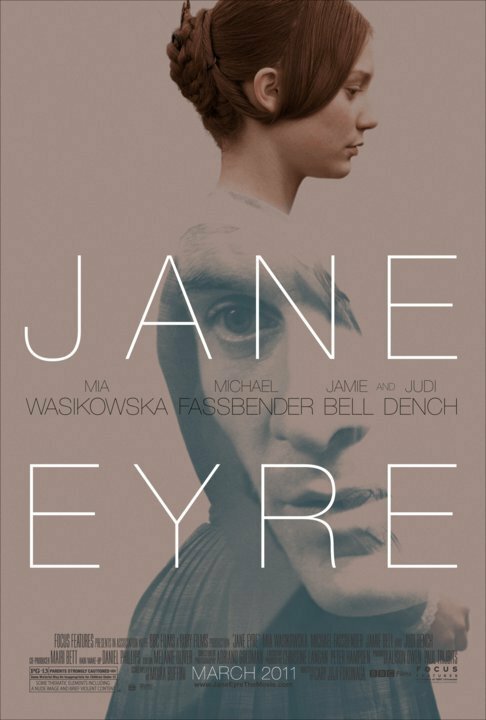 Young Jane quickly develops a relationship with her mysterious master, Mr. Rochester (Fassbender), and begins to fall in love with him without knowing that he is hiding a terrifying secret. Check out both the trailer and the poster below and to see the trailer in HD, head on over to Yahoo!